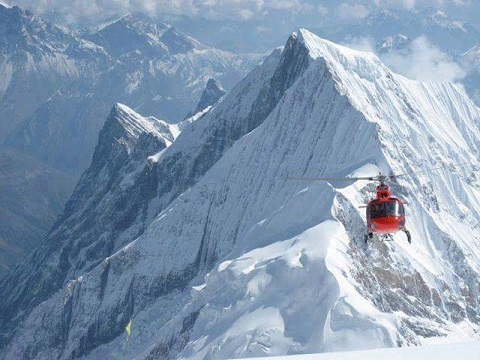 Helicopter service in Nepal brings you to remote corners of the Himalaya. It is an unique and exciting activity. People who don't have enough time to explore the mountains by trekking can choose for the helicopter tour. We organise tours to Everest, Langtang and Annapurna regions as well as other areas that you may request. It is one of the best and fastest way to get close to the snow capped mountains as there are several landing spots (helipads) up in the mountains for us to land and enjoy stepping onto the mountains. Departure from Kathmandu Airport to Lukla, gateway to Mt Everest by plane. Then take helicopter from Lukla to Syangboche (11,500 ft) and Everest view hotel. We will have the opportunity to explore and take photos in the area. Then we will fly around the mountain range and return back to Lukla. Then take a flight back to Kathmandu. Helicopter departs from Kathmandu airport to Kanjing Gumpa. We will explore the area then we will fly around the mountain range then take a flight back to Kathmandu. 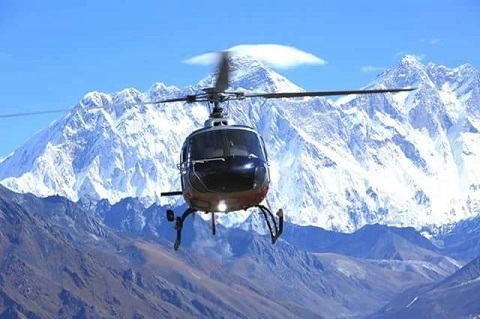 Helicopter departs from Pokhara airport to Annapurna base camp. We will explore aroumd Annapurna then we will fly around the mountain range and return back to Pokhara.